Having a pet is basically like having a little human. You have to feed them, bathe them, make sure they get plenty of exercise and take them for health checkups. Vet visits are expensive, though. After it’s all said and done, and Fido is ready to check out, the bill might not be kind to your wallet. Thankfully, there’s an opportunity to get up to two of your pets examined for free, and it’s a pain-free process. If your pet is ready for a checkup (dogs or cats only! ), make sure you grab this coupon before you head to the vet. VCA Animal Hospital, a large chain of animal hospitals in 43 states and five Canadian provinces, is offering free pet health exams. Click here to find the location nearest to you. On VCA Animal Hospital’s website, all you have to do is enter your first and last name, email, phone number and ZIP code, and click submit to instantly receive a coupon for a free health exam in your inbox. Only new clients are eligible, and the coupon is good for up to two pets. What’s included in the exam? The doctor’s time and the physical exam itself, which usually adds up to $52.70 per pet at VCA. That means if you have two pets, this coupon is good for over $105! The coupon doesn’t cover specialty services, such as boarding, grooming, medication or retail items — those will cost you extra, or you can be a Penny Hoarder and find cheaper alternatives, like doing them yourself! The coupon is valid for three months, giving you plenty of time to schedule an appointment for your pooch or kitty. So what are you waiting for? 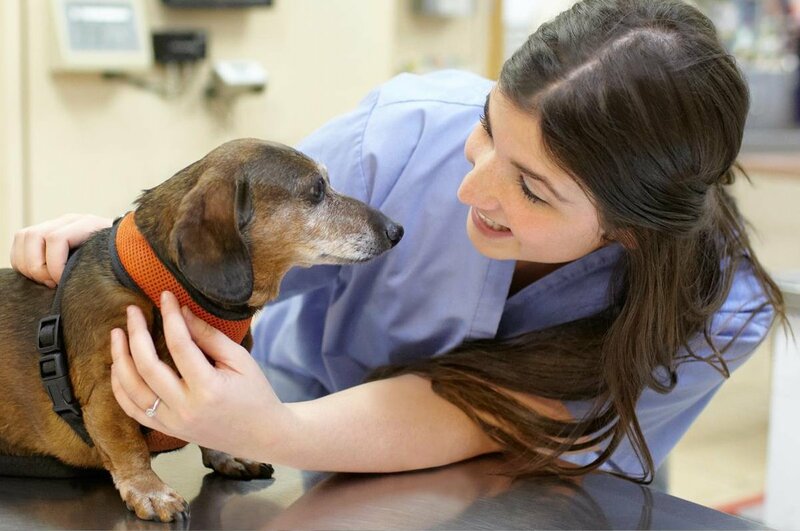 Get your pet scheduled for a checkup today. He or she will thank you for it! Your Turn: How does your dog or cat feel about going to the vet? Let us know in the comments below. Kelly Smith is a junior writer and engagement specialist and a senior at The University of Tampa. Her doggo, Wrigley, is almost 1!